Normally priced at £130 for the 90 minute session, for the next month I am offering it for only £100. I am offering a special Early Bird price to learn Mindfulness Meditation. If you book now for the full 8 sessions,( this will normally cost you, for 1-1 training £640), you will pay only £500. 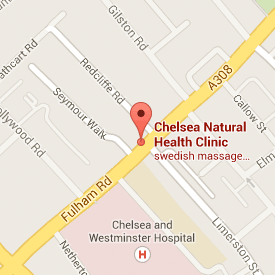 Sessions are on Wednesdays and Saturdays at Chelsea Natural Health Clinic. If you are interested in learning mindfulness, please email me using the form above. To take advantage of this Early Bird offer of £500 for the MBSR training, respond NOW and email me.